The marketplace for Enterprise Resource Planning (ERP) platforms is maturing on a daily basis, getting more and more crowded with excellent software tools for a variety of use cases, verticals, deployment methods and budgets. Traditional ERP providers continue to offer Supply Chain Management (SCM) and Customer Relationship Management (CRM) capabilities that have remained staples to the market since widespread adoption of ERP software began more than a decade ago. Disruptive newcomers and new customer trends are bringing new technologies to the table, however, so that organizations can take full advantage of data. There are large providers we refer to as ‘mega-vendors’, like Infor, Oracle, SAP and Microsoft. There are also the lesser-known innovators with interesting products that play in niche areas, such as IQMS, Deltek, Workwise Software and FinancialForce. In an attempt to assist you with what can become a daunting task of selecting the right product, these are the top-24 best ERP platforms for 2019. 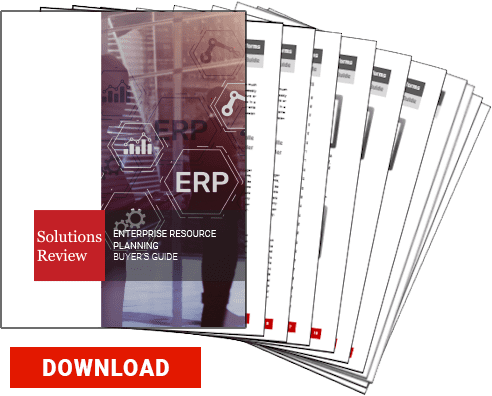 If you find this helpful, be sure to check out our ERP Buyer’s Guide, which features key capabilities to look for before purchasing, steps to take before implementing the ERP tool, a comprehensive overview of the market, and full, one page profiles of the top ERP vendors, including our “Bottom Line” analysis. For more than 35 years, abas has helped production-related companies around the world create change and profit from digital transformation—with our advanced ERP software, smart business process consulting. Abas provides ERP and business process management (BPM) software built on open standards that enable organizations to unlock the power of their business-critical content. Whether management or controlling, purchasing or sales, service or accounting, production or warehousing: As a comprehensive solution, abas ERP provides each user the exact functions and information they require. Acumatica provides cloud and browser based-business management software designed for small and mid-sized businesses. Acumatica’s ERP solution offers a suite of fully-integrated applications powered by a flexible platform. The company offers ERP software for both manufacturing and distribution companies: Manufacturing Edition and Distribution Edition. As one of the fastest-growing providers of cloud ERP software, the company can help streamline your processes while gaining visibility over all aspects of your operations to accelerate your business growth. Aptean provides various industries within different verticals with very specific ERP, supply chain management and customer experience solutions. The company builds and acquires solutions to support the evolving operational needs of businesses, helping nearly 5,000 organizations. Aptean’s ERP solutions include Cimnet ERP, Encomprix ERP, Ross ERP, and more. ERP solutions from Aptean are designed with deep functional fit built in, but they are also highly customizable to align even more closely with your unique business processes. DDI System’s offering, Inform ERP, is a fully-integrated, real-time system that ties every aspect of distributor operations into a seamless workflow. Inform harmonizes distribution operations using powerful tools designed to align daily tasks with new, opportunistic revenue sources and a focus on the customer first. Inform ERP delivers industry specific solutions for distributors to succeed in today’s competitive landscape. With a unique competitive edge with an ever-evolving, customer connected, mobile based, and cloud connected platform for success, Inform users benefit with a flexible solution that can operate from on-premise servers or cloud hosted environments, in-house or in-the-field. Deltek offers a range of ERP products to fit the unique demands of clients including: Costpoint, Maconomy, Deltek for Professional Services, Ajera, and Vision. Deltek’s ERP solutions are available as cloud-based and on-premise systems, some are priced on a per employee per month basis. Chosen by more than 20,000 organizations as the engine upon which to power their business, Deltek’s Project ERP solutions are built to help efficiently manage resources, better service clients, and grow profitability for firms of any size. With Deltek ERP, you can develop new business with a clear overview of your pipeline, scope new projects accurately and control finances with multi-company and multi-currency project accounting and full general ledger. Epicor looks to help organizations take advantage of economic changes with its ERP solutions suite. Epicor’s ERP solution is a global resource planning platform that provides choice, flexibility, and agility to promote growth and opportunity. The company provides ERP solutions for manufacturers, distributors, retailers, and service providers. Built for companies of all shapes and sizes, ERP solutions from Epicor gives you better visibility into global business processes and supply chain, build a more data-driven organization, improve productivity and collaboration and raise the bar for quality and compliance. Exact Software provides cloud-based business software for small to medium-sized businesses. Exact offers its Globe Next ERP solution, featuring accounting, inventory management, billing and invoicing, financial reporting, and more. Globe Next can be deployed in the cloud or on-premise. Globe Next was originally designed as a software program but evolved to become a comprehensive ERP system. Exact Software can assist you with their proven ERP solutions for your financial administration with fully integrated industry-specific solutions. Founded in 2009 and headquartered in San Francisco, FinancialForce is the leading cloud-based ERP for the new services economy. The number one ERP native to the Salesforce platform, FinancialForce unifies data across the enterprise in real-time, enabling companies to rapidly evolve their business models with customers at the center. Built on the Salesforce platform, FinancialForce software offers centralized billing capabilities to facilitate accurate invoicing for products/services, subscriptions, contracts, projects, and more. Infor is a privately held software company founded in 2002 and offers both cloud and on-premise ERP solutions used by over 9,700+ manufacturing, distribution, equipment rental and service customers in a wide variety of industries worldwide. As a company that’s been building ERP solutions for enterprise-level and small-medium sized businesses for more than 15 years, Infor’s industry-focused CloudSuite solutions help to minimize cumbersome modifications and take advantage of continuous innovation. Founded in 1992 creating accounting software, Intact Software is currently known for providing the flexible Intact IQ, their ERP solution directed towards small and medium sized businesses. Intact ERP offering, Intact IQ, is a next-generation ERP solution designed for today’s digital economy. Intact IQ’s unique “If This Then That” agents, removing distracting noise from your business data, allowing customers to be presented with the most streamlined and relevant information. IQMS provides manufacturers the best choice for reliable, real-time ERP software solutions developed especially for manufacturing processes. Whether you are a small, single plant manufacturer or a large multi-plant, global manufacturer, EnterpriseIQ ERP is the solution to fit your needs. Their product library consists of Manufacturing ERP, Manufacturing Software, Mobile ERP, Small Business ERP, Private Equity ERP, MES software (and for Enterprise), Quality Management, and more. Structured on accountability, the IQMS system combines manufacturing software, MES software and ERP software to improve every aspect of your business. Masterplan Solutions is a leading provider of cloud business and process integration software including ERP, material requirements planning (MRP), supply chain management (SCM), Sales and Manufacturing software solutions. Masterplan ERP software is available as both an upfront perpetual license fee and as a monthly subscription, based on the size of business. Masterplan ERP software offers standard manufacturing applications including financial accounting, manufacturing execution, quality management, product life cycle management, supply chain management, supplier management, customer relationship management (CRM) and business intelligence. Odoo is an open-source ERP software provider for businesses of all sizes and industries. With the “On-premise” offer, Odoo is the most installed business software in the world; used by over 3.700.000 users worldwide ranging from startup companies (1 user) to large enterprises (300,000+ users). Odoo’s distinction is that the whole system revolves around a collection of apps. The software has apps to cover everything from warehousing, manufacturing, and sales channels, to timesheets, websites, purchasing, and more. Shoptech Software is a provider of best-in-class manufacturing software for your shop. The E2 Shop System is designed with the job shop and make-to-order manufacturer in mind. For 35 years, this software has helped businesses with quick and accurate quoting, real time data collection, flexible scheduling and tight inventory control, and much more. Shoptech takes the responsibility of hosting your data very seriously. That’s why the’ve partnered with the most reliable cloud management company in the business: Rackspace. Customers can benefit from the seamless integration with QuickBooks too. Microsoft provides ERP software to businesses of all sizes through its Dynamics platform which consists of six separate products: Microsoft AX, GP, SL, NAV, CRM, RMS. The Microsoft Dynamics portfolio started in 2001 with the acquisition of Great Plains Software and Soloman, and in 2002 with the acquisition of Navison and Axapta. IThe company’s most adopted ERP offering, Microsoft Dynamics AX, is a business solution for global enterprises that supports industry-specific and operational business processes, along with comprehensive, core enterprise resource planning (ERP) functionality for financial and human resources management. Netsuite’s ERP solution is designed to address the multinational and multi-company needs of a mid-market organization. NetSuite’s ERP offering allows consolidation to be done in real-time and includes automated intercompany eliminations and foreign currency translation. As one of the world’s most deployed cloud ERP solution, Netsuite ERP provides proven financial management and ERP that easily integrates with your broader sales and service processes. NetSuite ERP equips you with the visibility you need to make better faster decisions. With hundreds of cross-industry capabilities spanning ERP, CRM, and supply chain planning, Oracle E-Business Suite applications help customers manage the complexities of global business environments no matter if the organization is small, medium, or large in size. Oracle ERP Cloud creates connected teams, unified data, and drives real-time insights to help finance teams ensure the best business decisions are made. QAD began in 1979 as a small startup looking to address a large gap in business software for mid-sized companies within manufacturing, life sciences, consumer products, and food and beverage industries. 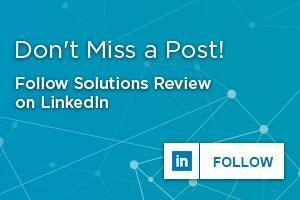 Today, they offer a flexible and customizable ERP solution for those same customers. QAD On Demand is the industry’s only full-strength ERP solution in the cloud. Whether you’re a growing start-up or an established global brand, with QAD On Demand web-based ERP software you can harness all of the power of QAD Enterprise Applications. The India based software company, Ramco, delivers an ERP suite that covers a number of business needs, including finance & accounting, supply chain management, and quality management. The solution is built on Ramco VirtualWorks, one of the most advanced application assembly and delivery platforms. Ramco ERP on Cloud enables you to get a 360-degree view of your business, anytime, from anywhere by putting all your business functions on to one single platform on the Cloud and automating and integrating them, end-to-end. Sage provides ERP software directed to small and medium sized companies; helping them to make smarter business decisions. Sage’s ERP software is available in three different products; X3 for enterprises, 100 for small and mid-sized light manufacturers, and 300 for small and mid-sized businesses with multiple locations. The company’s most adopted ERP tool, Sage ERP X3, comprises a number of features and functions designed to help manage your business’s sophisticated processes, transactions and relationships. It can manage specific areas such as manufacturing, inventory, warehousing, purchasing, finance, customer relationship and even electronic document systems. Trusted by nearly 50,000 customers, SAP ERP supports business processes in 25 industries, 37 languages, and 45 locations. The company offers multiple ERP solutions all built for specific industries and sizes. SAP’s Business One Suite ERP software provides strong functionality across a number of industries including manufacturing, services, retail, wholesale distribution, and more. Within Business One Suite’s ERP suite, it offers applications covering customer relationship management, financials, human capital management, and product lifecycle management. Unit4 is a provider of enterprise solutions with over 4000 employees worldwide. Unit4’s ERP solution, Unit4 Business World, delivers industry focused solutions that include, professional services, education, public services, non-profit, wholesale, and financial services. Developed for a mobile future, these capabilities allow you to tailor Business World to suit your own particular needs. Whether your goal is financial insight or more effective teamwork, Unit4 enables you and your people to achieve it, by collaborating freely and working in any way you want. Workwise is a developer of ERP and CRM solutions along with implementation and support services. Their ERP solutions are cost effective, easy to use, and allow for full customization. Workwise calls its philosophy “customer inspired” because of their devotion to customer service; listening to unique requirements from customers and using the feedback to create innovative enterprise solutions. WorkWise ERP software is specifically designed for today’s make-to-order, engineer to order, configure to order, build to stock and mixed mode manufacturers. Next Next post: From the Pro’s: What Will ERP Look Like in 2019?